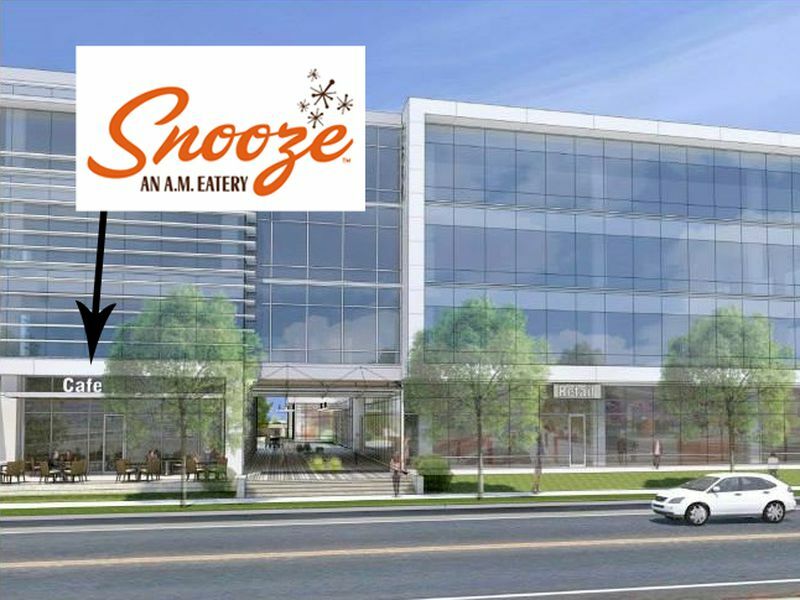 Snooze, the brunch-only Denver-based chain, is set to expand into Austin by the end of this year. It’s the first restaurant announced as part of the Lamar Central mixed-use development on 3800 North Lamar. “Snooze has always dreamed of being in Austin,” said the chain’s rep. “We love the community feel and its resemblance to that same feeling in our original location in Denver.” Other new locations in Austin and throughout Texas are being considered, as well.The cafe will be found on the ground floor of complex, to the left of the open entrance of the building. The 3,900 square foot space will include a patio and outdoor seating, along with the availability of the building’s courtyard. There will be both table and counter service. The kitchen is currently looking for Austin purveyors for local sourcing. Snooze is still set to open by the end of the year. Hours will be Monday through Friday from 7 a.m.-2 p.m., and Saturday and Sunday from 6:30 a.m.-2:30 p.m. Locations of Snooze can be found in Colorado, California, and Arizona. This is the latest Denver-Austin chain exchange, which includes Snarf’s Sandwiches, Torchy’s, Alamo Drafthouse, and Hopdoddy.